Guillemot Kayaks specializes in helping you build your own boat. All the boat designs you find here are designed by Nick Schade, who loves to go out on the water in small boats, and knew he could build a better boat than he could buy. Our catalog includes the finest plans and instructions for building your own kayaks, canoes and small boats. 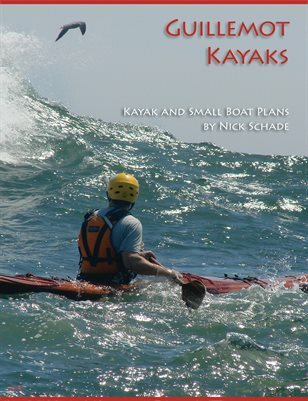 To help aspiring boatbuilders and woodworkers who want to take on a new project, Nick Schade has written several comprehensive books on building woodstrip or strip-planked canoes, kayaks and rowboats. If you would prefer good, old-fashioned, printed hardcopy, you can order a catalog here.